Roadscanners, in joint venture with IGEA Ltd. (Slovenia) and Cestel Ltd. (Slovenia), provided RAMS software, road measurements and consultancy services for Public Enterprise for State Roads (PESR) in Macedonia. 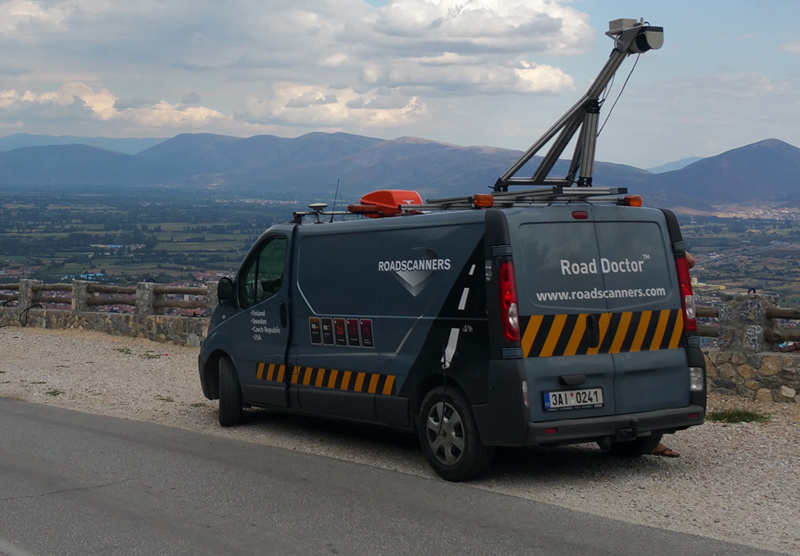 Roadscanners surveyed the whole main road network of Macedonia with Road Doctor Survey Van, producing pavement and structure thickness surveys and determining homogenous sections of road structures. For pavement thickness no drill cores were needed because of using advanced coreless GPR technique. The total mileage was 4300 km and the project was completed in only 6 months’ time.